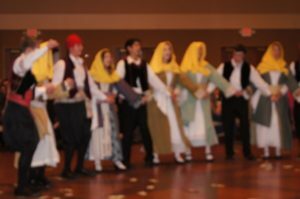 The Folk Dance Program ar St. John the Baptist Greek Orthodox Church is an opportunity for kids of all ages to preserve their Greek heritage by learning dances, language, culture, and music from regions throughout Greece. Regions taught have included Thrace, Pontos, Crete, and Macedonia, all of which have a unique history and culture. 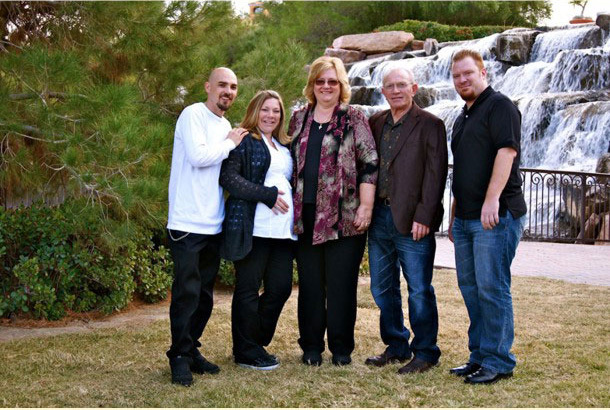 This last year, there were three groups ranging from ages 8-20. The groups competed at the Greek Folk Dance Festival (FDF), an annual gathering of music, dance, and community. During the months leading to competition, the kids actively volunteer within and outside the Greek community, hosting fellowships, working at the Greek Food Festival, and feeding the homeless. 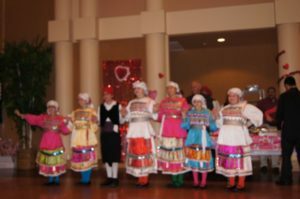 Much goes into creating and maintaining a folk dance program. The help and support of dancers’ parents, dance workshops for dancers and directors, prior and present directors who have volunteered and continue to volunteer their time teaching, the parish, priest, and most importantly, the enthusiasm of the dancerswill help sustain the program for years to come. On behalf of the folk dance ministry, the Dance Board would like to extend a sincere thank you to The Charles Marshall Foundation for its support of folk dance education.